We got a huge surprise when we walked out the gate of the Hotel Villa Laguardia. There was our Basque guide Fermin Lopetegui waiting for us. 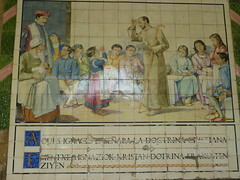 He had decided to walk Stage 7 of the Ignatian Camino with us and had driven over from his home in Zumarraga. We were very pleased to see our friend. We farewelled Laguardia and embarked upon our longest walking day yet. Thankfully the terrain was gently rolling. 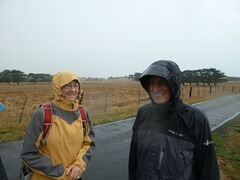 The weather was quite cold and misty when we left just after 8.00am. We passed through vineyards and fertile farmlands. 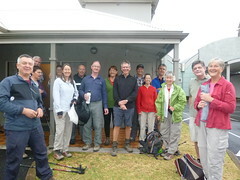 We again prayed in silence for the first two hours of our walk. Fr Paddy Mugavin suggested that we pray for healing of the pain and hurt that has happened as a result of sexual abuse in the Church. First the healing of the hurt of victims and their families. 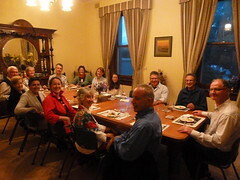 We prayed for the grace to be able to listen to their stories and learn from what they can teach us. We prayed also for the others levels of woundedness in our church, and our church communities. We prayed that we as a Church might learn what needs to change in church culture so that such abuse will never happen again. 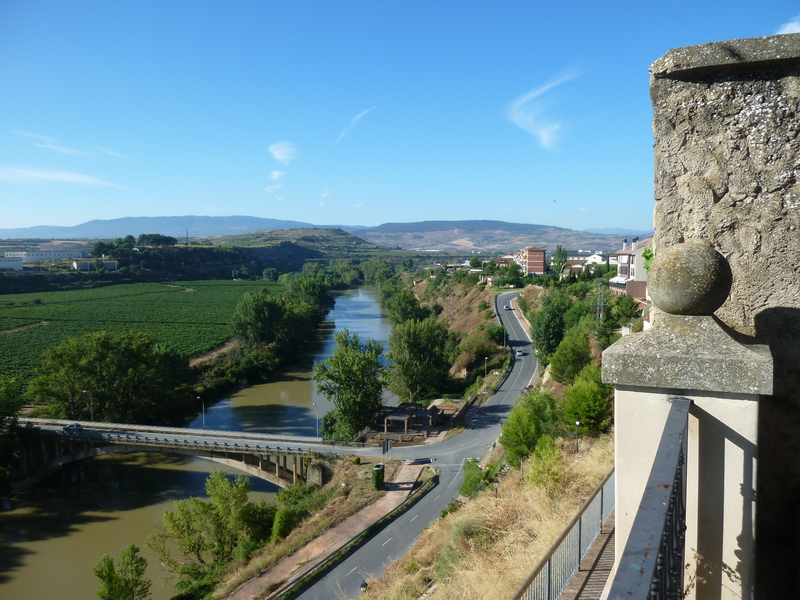 We crossed the Ebro River — Spain’s largest river, and left the Basque Country en route to Navarrete. 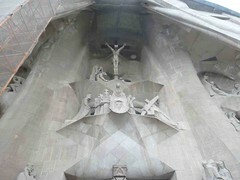 Strategically built on a hill, the houses with their coats of arms show the importance of Navarrete. 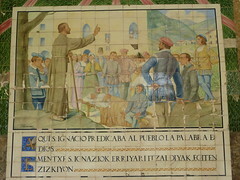 In 1482 the Catholic Monarchs granted the noble title of Duke of Najera to the father of Duke Antonio Manrique de Lara (also viceroy of Navarre from 1515 to 1535), who knew Ignatius of Loyola very well. 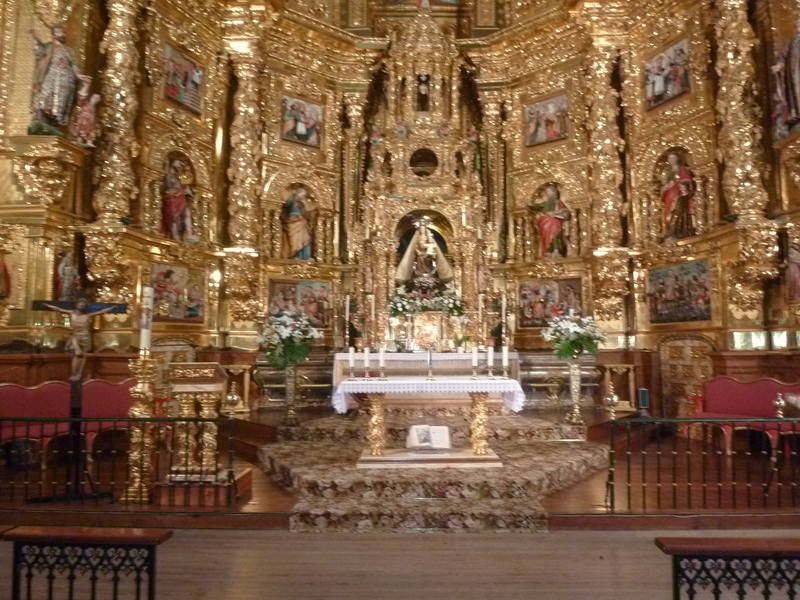 It is known that Ignatius came to the Duke’s palace in Navarrete to settle an outstanding account with him when he was on his way to Montserrat. 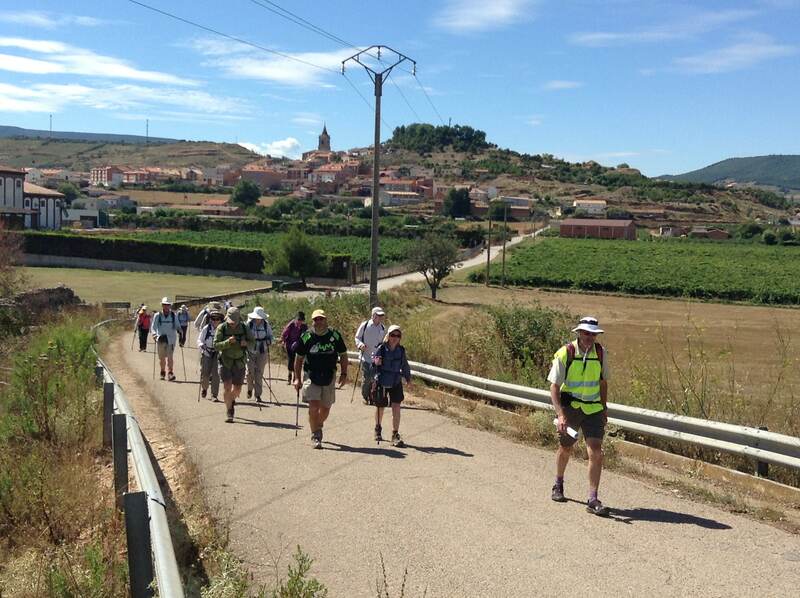 As we entered Navarrete we saw other pilgrims, all clad with backpacks, walking sticks, and the scallop shell symbol. 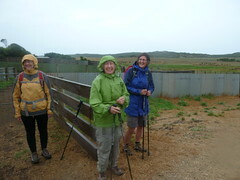 These pilgrims were walking in the opposite direction to us and are on the “Camino Frances” (the French Camino) to Santiago de Compostela. 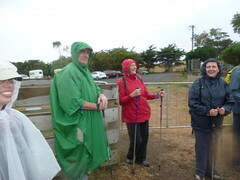 I walked the same pilgrimage in May-June 2011. It is interesting to revisit some of the places I passed through just over two years ago. Some of the pilgrims on the Camino Frances indicated that we were gong the wrong way and we had to explain that we were on a different pilgrimage — the Ignatian Camino to Manresa. I don’t think they quite understood. The Igntian Camino is not well known. After a Jamón y queso (ham and cheese) sandwich and a drink at Navarrete we continued on to Logroño. 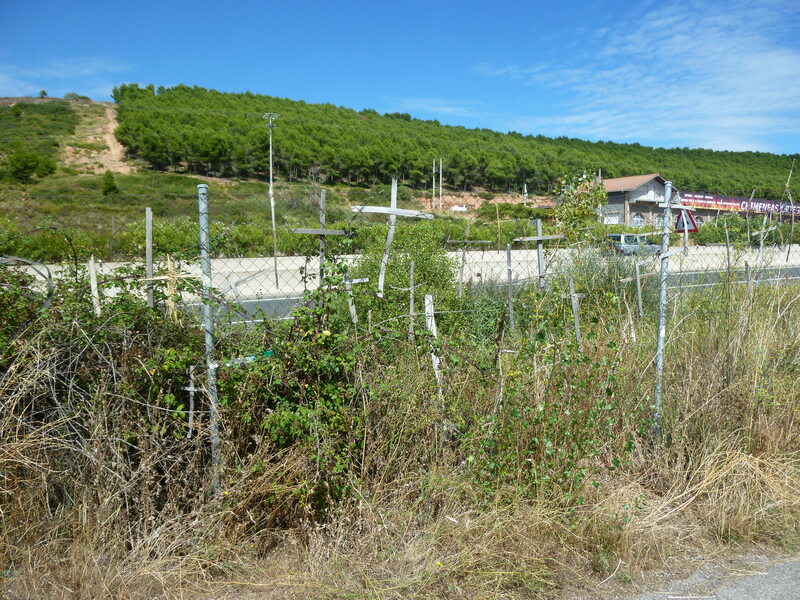 On the way to Logroño we passed the fence where pilgrims on the Camino Frances make small crosses and weave them into the fence. I remembered doing this in 2011. It was a long walk and my feet are very sore this evening although the rest of my body is holding up quite well. 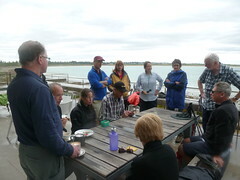 We have walked about 60 kilometres in two days. Tomorrow we will have a rest day and we are all looking forward to the opportunity to recuperate and do some washing. Every morning I look forward to your new post arriving. I am really enjoying following along the way with you. Glad it’s “rest day” tomorrow, you certainly deserve a well earned break. A message for Fr. Joe: The mens’ film night went well; we discussed doing “the walk” next year, but we need a leader. Some one with experience who knows “the way”. We do have “someone” in mind! Cheers, Anthony and Rosey.